5. Graphics card power supply with four solid capacitors, graphics card power supply more stable and secure. 1. 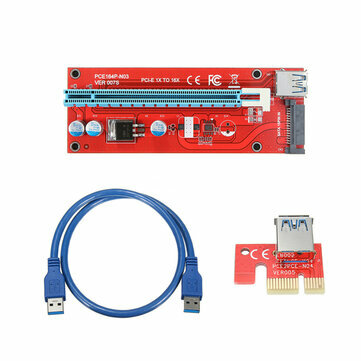 This extension is applicable to the mainboard PCI - E slot (1 x 2 x, 4 x 8 x 16 x). Please plug in the power cord for the floppy. When plug PCI - E extension must be computer broken wires plug again. 2. The form a complete set of wire rod is customized, never grab line to plug in. Remember that! 3. When plug wire must identify the direction, not to counter or offset, prevent burning equipment, plug wire when the socket of equipment first, then plug wire, avoid too hard plug socket pin is broken. 4. Dual-core graphics Suggestions with the old line, the mainboard is 16 x also recommends using the old row line!